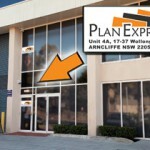 Plan Express has been printing and copying plans for over 40 years. Through our document scanning service Scan Express we also specialize in document scanning, indexing and archiving. We also supply drafting and measuring equipment. Almost all companies have a large number of documents that only exist in a paper format. Document Scanning or imaging allows an organisation to capture this paper based information and save it in a computer ele”ctronically.